Accidents happen, which is exactly why you have car insurance in the first place. We’re here for you 24/7 to help resolve your claim as quickly as possible. Need a jump, tow or locksmith? We’ve got you covered with 24/7 roadside assistance. You’ll be up and running in no time. We understand the importance of getting your glass repaired as soon as possible. Tell us what’s broken and we’ll take care of it. From the moment you file a claim, we’re on it. We’ll identify reputable repair facilities and keep you updated every step of the way. We’re here to ensure that everything runs smoothly. Once your claim is filed, you will be matched with a claims professional who can answer any questions you may have. They’ll help you get back on the road as soon as possible! We leverage technology to make the claims process fast and seamless. 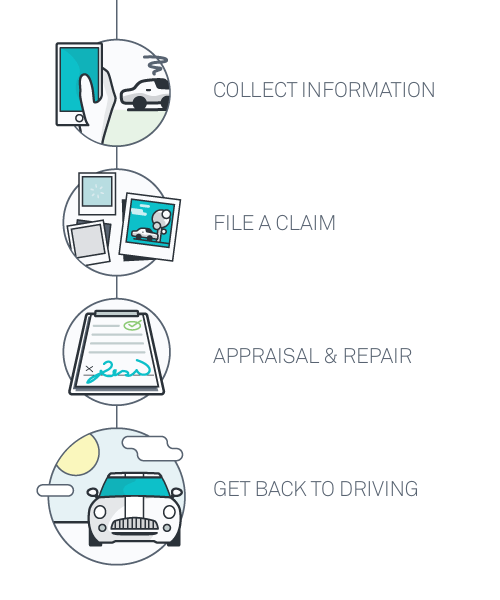 Unlike other insurance companies that only allow you to start the claim online, at Metromile, you can file the entire claim right from your mobile phone. Certain claim types can even be resolved within hours. or email our claims team at claims@metromile.com.